Although long-term reports of total hip arthroplasty (THA) showed successful results, instability remains a major complication. 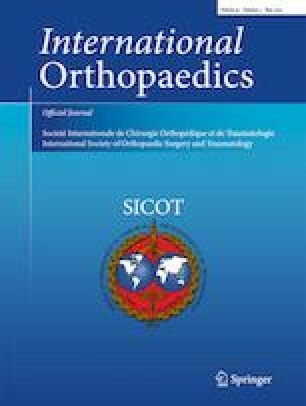 Recently, dual-mobility cups (DMC) have gained more and more interest among clinicians, with encouraging results in terms of lower rate of dislocation associated with good clinical results, but a lack of evidence exists regarding the real efficacy of this implant design compared to traditional fixed-bearing total hip arthroplasties. A systematic search was performed in PubMed, Google scholar, Cochrane Library, and EMBASE by two independent reviewers for comparative studies available till December 2017, with the primary objective to demonstrate a real lower dislocation rate of DMC implants compared to unipolar fixed-bearing cup designs. A meta-analysis was conducted with the collected pooled data about dislocation rate, calculating the risk difference (RD) and relative risk (RR) with 95% CI for dichotomous variables. Heterogeneity was tested using the χ2 and Higgins’ I2 tests. A fixed-effect model was used because the statistical heterogeneity was below 50%. After performing a critical exclusion process, the number of eligible studies included for final synthesis considered was 15, describing the results of a total of 2408 total hip arthroplasties (50.6% with a dual-mobility acetabular cup design, 49.4% with a standard fixed-bearing design). The fixed-effect meta-analysis showed a slight significant risk ratio of 0.16 (95% CI, 0.09, 0.28; I2 = 0%, p < 0.00001); a statistically significant difference in favor of the DMC group was maintained also considering only primary or revision arthroplasties, traumatic fractures or elective patients with diagnosis of osteoarthritis, avascular osteonecrosis or rheumatic arthritis. With the intrinsic limitations of our study design and based on the current available data, this study demonstrates that dual-mobility acetabular components decrease the risk of post-operative instability also in high-risk patients, both in primary and revision hip arthroplasties. However, new high-quality studies, possibly with a randomized control design, should be undertaken in order to strengthen the present data. Level of Evidence III, therapeutic study. Dr. Romagnoli M, Costa G.G., and other authors have nothing to disclose. Prof. Zaffagnini reports personal fees from DePuy, A Johnson & Johnson Company, and Smith & Nephew as speaker bureau, and from Springer, outside the submitted work.